Charity needs cash to buy new mattresses. 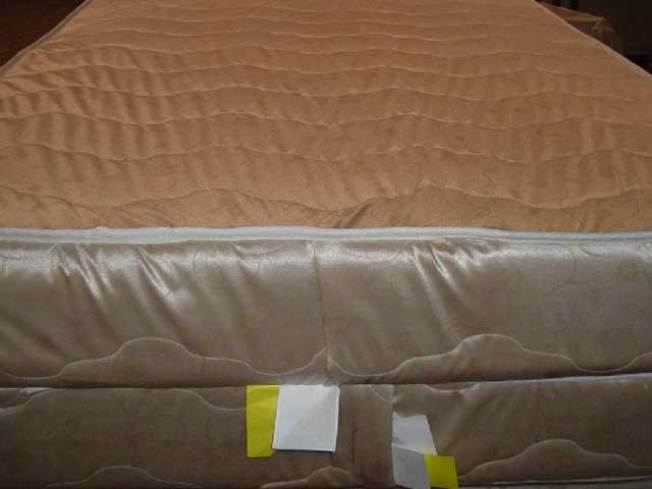 The mattress sets sold at Mattress World fail to meet the mandatory federal open flame standard and pose a fire hazard to consumers. So many people are calling Acts 4 Ministry in Waterbury for new mattresses that there's only one complete bed left in the charity's warehouse. The reason is bedbugs. Treatment for the pests means spraying with chemicals and pursuing bedbugs where they live. Bedbugs come out of wooden bedframes or the walls of buildings, attack their prey, then return to the cracks and crevices. The furniture often has to go. She's trying to raise cash to buy mattresses, not wanting to accept used mattresses or used pillows. Mattress covers are another commodity in demand at Acts 4 Ministry. "If you're already low income, and you lose all your furnishings, we can pretty much replace their table and chairs and dresser if that happened to become infested, or even a couch because those are easy to get donations of," Coffin said. "New mattresses cost money." "About 30 percent of the time, it's because they've had a bedbug infestation," said Laura Coffin, executive director of the charity. "Most of the time, they're moving out of the place that had the bedbugs because it's not being treated." You can learn more on the Acts4Ministry website.